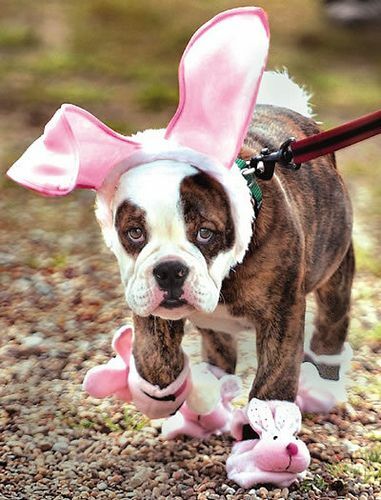 Easter is next weekend and even if you don’t celebrate it, it is always fun to dress up your pet in a bunny outfit. 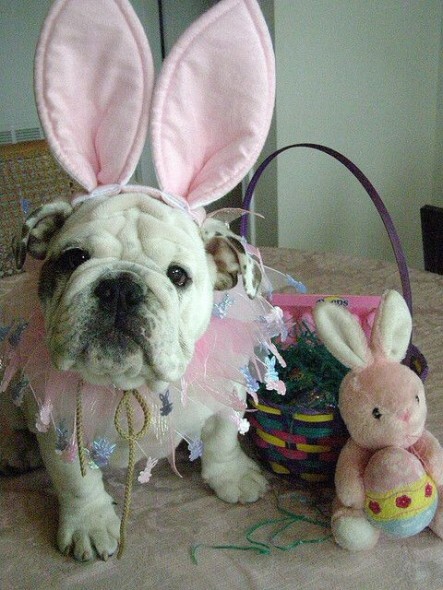 Do you take your dog Easter egg hunting or do you prepare a basket for them to enjoy? 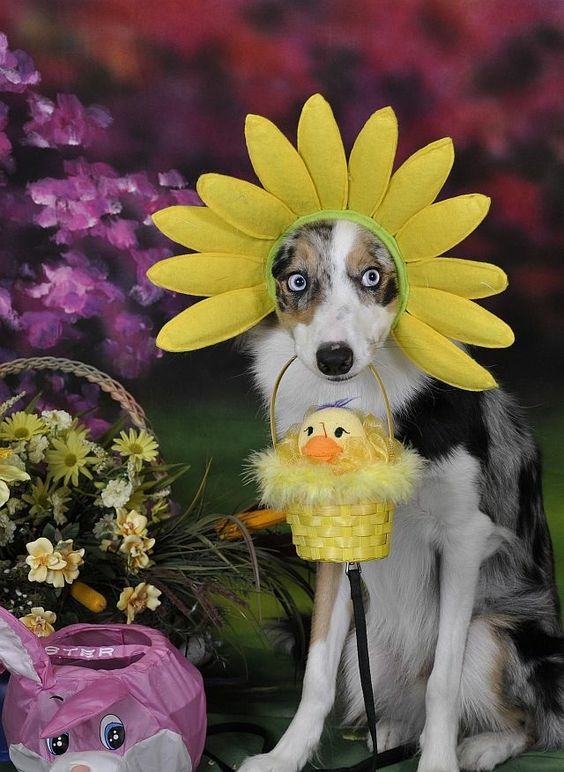 Here are five photographs of dogs ready to celebrate Easter. Just classic! 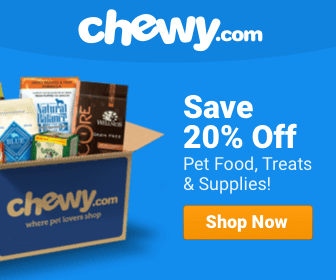 Who else <3 dogs and puppies ? LOVE!!! 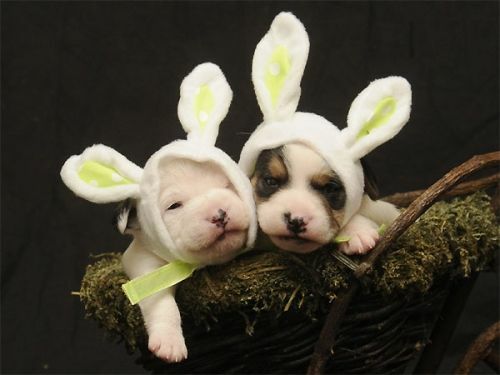 !111 TO CUTE!!! !xoxooxoxo Be LOVED!!!! 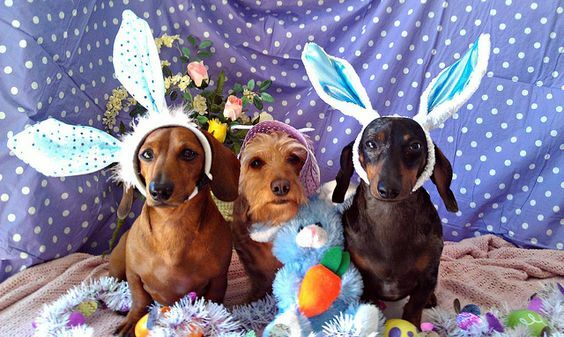 What pretty ears you have. 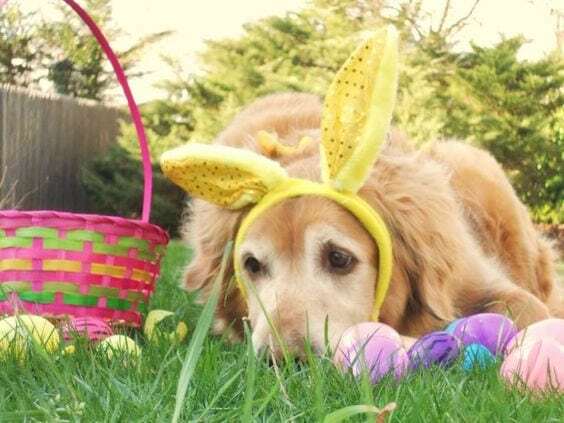 Miss Amber went on an Easter egg hunt last weekend with lots of her pup friends!